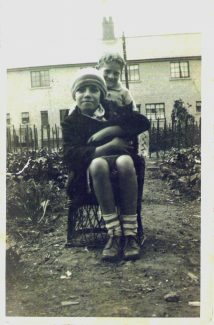 Here is a picture of my mum, Doris Locke and her younger brother Albert, posing for a photo with the family cat in her arms at 104 Quebec Road, Tilbury in the back garden. This was taken before the second world war as she was born in 1920 and Albert in 1925. My mum June Stroud lived at 92 Quebec as a child until she got married. We now live in Australia but will be returning to Tilbury this April 2014 so will definitely have a walk down Quebec Road.